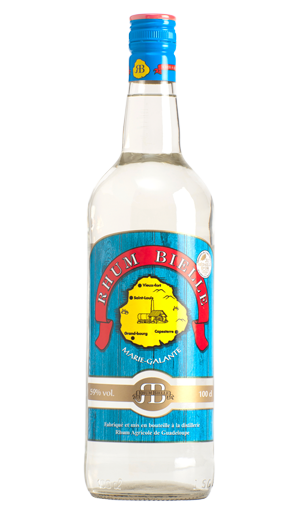 The white rum, made of freshly cut sugar cane, hand selected for its sugar content, is produced using traditional artisan methods. A worthy representative of its terroir it is the perfect ingredient for a Ti’ punch or cocktails. Sugary and fruity freshness of the sugar cane. Very moreish, marked with the fruity and vanilla flavours of the sugar cane, lively and fiery, with a hint of sea salt. A smooth balanced texture that suffuses your palate. This premium rum undergoes a different production method, the unique double distillation process, first in a column and then a second time through a small copper alembic, gives this rum a distinct and utterly refined taste. A true “eau-de-vie” of rum. The first impression is the “Grande finesse” of the sugar cane. The alcohol hit then releases aromas to the full. Round, complex and elegant as this white rhum agricole is all about refined quality. A very slight bitterness, which is typical of rhum agricole. The Canne Grise, an ancient sugar cane variety originally from Barbados, is found in small selected quantity on the Marie–Galante island. It is mostly used in the production of “sirop batterie” and known for its exuberant aroma. Further to a few successful trials, the Bielle Distillery decided to create this nectar, single distilled using “Savalle”-type columns.